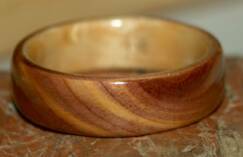 Spectacular Juniper Heart Wood ~ with it's bands and swirls and knots of red, light red, cream, white and deep deep red . 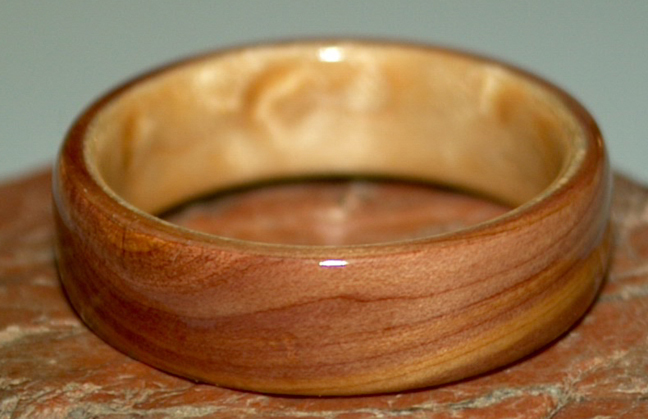 . . every juniper heart wood ring is naturally one of a kind. This wood wedding ring set was custom designed by a couple in the US who were seeking environmentally responsible wedding jewelry. "We loved working with you and love our jewelry. Thank you so much, and our gratitude to David - excellent craftsmanship. 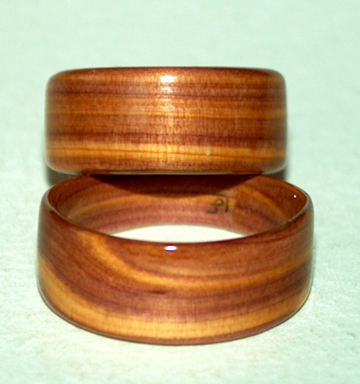 We are so proud to wear our Touch Wood Rings. " Half Knot Juniper heart wood ring, this one lined with bird's eye maple. 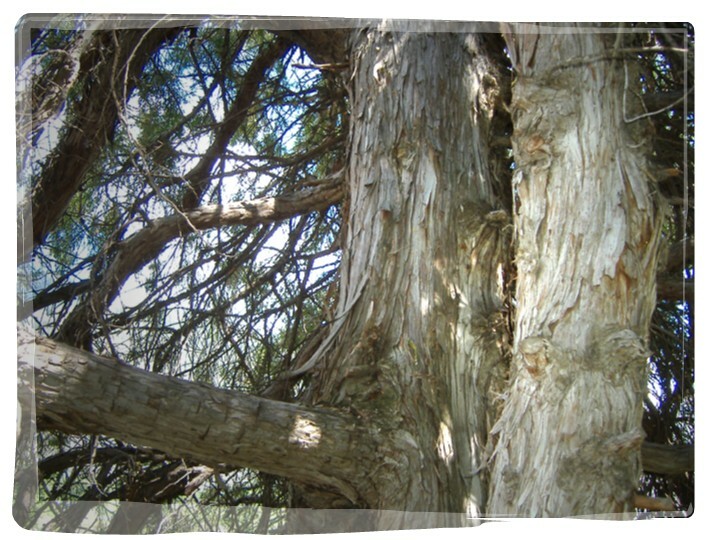 Front and back view. Size 9, 6mm wide.